PARAGLIDING TENERIFE, the most exciting experience on the island! There is no better way to enjoy Tenerife’s landscape than flying over its wonderful southern coast in a paragliding tandem flight. Paragliding Tenerife is the best way to enjoy the landscape of the island flying over its wonderful southern coast in a tandem flight; this is definitely one of the best things to do to enjoy your holiday! If you are staying in Costa Adeje just look up and see how many paraglidings fly in the sky; Tenerife is in fact well known from people passionate about this sport; they choose the island because of its good weather all year round that makes it a perfect place to practice. 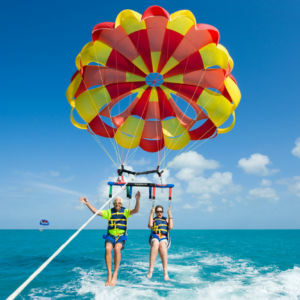 You don’t need any experience to do the paragliding Tenerife; all you need is a bit of lust for life and will to try a thrilling thing. So first of all we pick you up from your accomodation in Tenerife south and bring you to the take-off point located in the mountains behind the town of Adeje, 15 minutes away from Los Cristianos – Las Americas. Here our experienced instructor will explain you basic safety rules before taking off and start the paragliding Tenerife experience; now everything is clear, let’s open the sail above your head, start running and leave the ground! As you can see in the video below the panorama you are going to admire while flying is fantastic; behind you are the mountains and the majestic pick of the Teide, whereas in front of you the sunny Costa Adeje, with its beaches, bays, golf courts and luxury hotels; the instructor will make a professional video memory that you can buy at the end if interested. 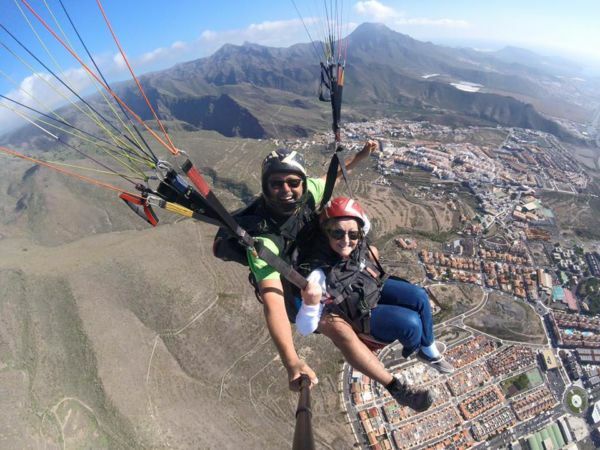 For the paragliding Tenerife two types of flight are available, the standard one starts from an altitude of 800 meters and lasts 15-20 minutes; the long one starts from 1000 meters and lasts 25-30 minutes. The landing point will be the beach of “La caleta” if weather conditions allow it. 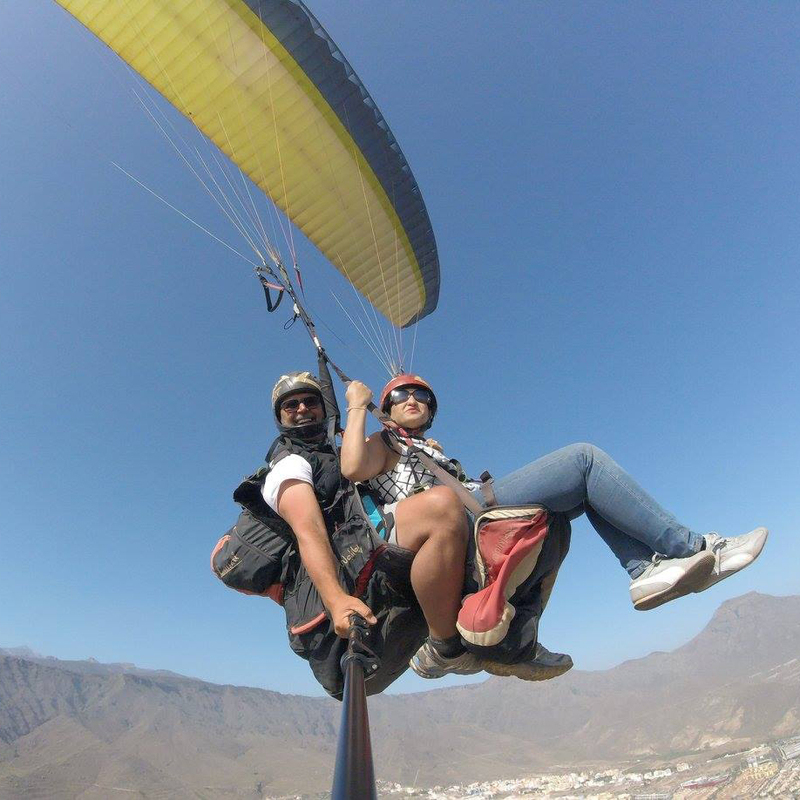 Book the paragliding Tenerife now and have an unforgettable experience!